If you need certified translation in Hong Kong, Translation Services HK guarantees 100% accuracy. Whether you are a government body or an education institution, we can help. We also work with businesses small and large, including multinational companies. Our certified document translation helps verify identity, employee records, work permits and more. With our diligent certified translation service, you can ensure your records are up to date. We can also meet your requirements for certified document translation of any other legal, authorised or government documentation. When you require a certified translation service, it is best to use the professionals. This will guarantee accuracy and helps prevent against fraud or other criminal activities. At Translations Services HK, we offer an accredited certified translation service. This means that our translators are able to authorise certified document translation and endorse affidavits with a signature. Authorisation is important to ensure documents can be accepted as legal and official documents. It also helps add a layer of traceability in the rare event of any issues. What’s more, our certified translation in Hong Kong is fast and efficient. We understand you might often need answers quickly, especially if handling a legal issue. Contact us today and we will work to provide certified document translation to your deadline. Certified documents are often of a sensitive nature and should be handled with care. Our translators treat all documents with the same level of respect and confidentiality as they do care and accuracy. Our experienced staff are also specifically trained to high standards for your peace of mind. They follow professional accredited guidelines and best practices to ensure our translations are accepted by courts and authorities. That means you can rely on our skilled translators to never omit or add in details. Instead, they will relay all information word for word in your chosen language. In turn, you can avoid delays, costly errors or other issues caused by careless translation. You can have a peace of mind. At Translation Services HK, we understand the world is a global community and that language should not be a barrier. We have access to native and fluent translators across the world and support translation between all languages. These include French, Japanese, Korean, Chinese/Mandarin, Hindi, Russian, German, Thai, Burmese, Vietnamese, Bengali, etc. Whatever your language requirements, rest assured we can provide certified document translation. Why Choose Translation Service HK? In need of translating important documents for official use? Don’t risk being let down by poor-quality translation. Our staff at Translation Services HK are fully trained to offer professional and 100% accurate translations. We will work with you to your timeframe with care and discretion. 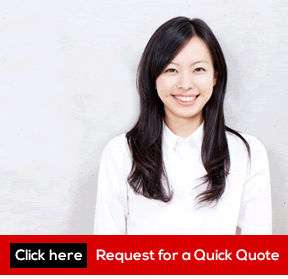 We are the largest translation company in Hong Kong and offer some of the lowest costs around. That’s why so many companies and official bodies trust us time and again. 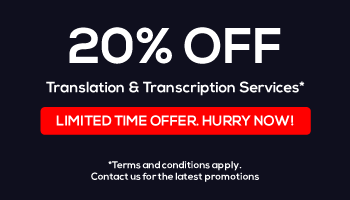 For a free quote, contact us today and put your certified document translation in safe hands.